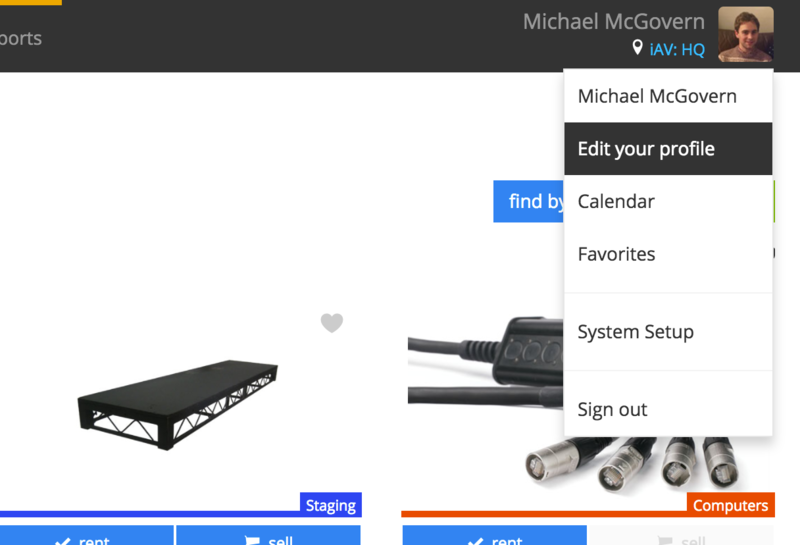 View all of your users, add new accounts, and manage all of them in System Setup > Users. 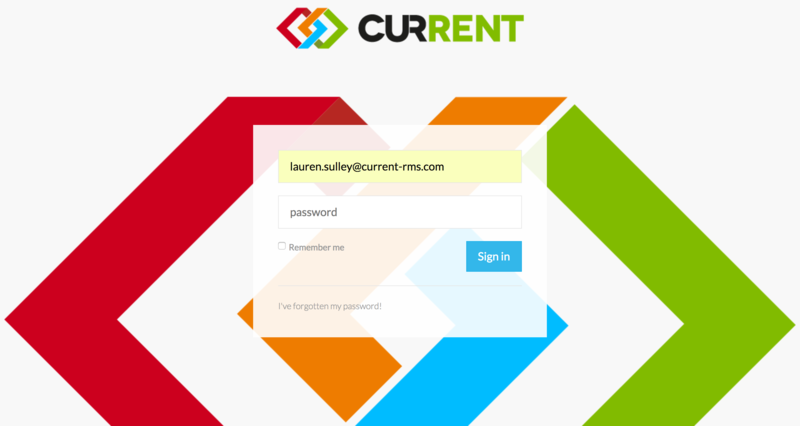 With Current RMS, you’re in total control of your user accounts – no need to contact us to make changes, just head to System Setup > Users. To change your password, click on your picture at the top-right and choose Edit your profile from the menu. Enter your new password in the “Password” field, then type it again in the “Password Confirmation” box to confirm. Hit Update user account when you’re done! The logged-in user can only change their own password. Ask your other user to change their password by logging in and using the instructions above. If the user has forgotten, hit “I’ve forgotten my password” on your company sign in page to send a password reset email. Keep in mind that Current RMS is billed on a per-user account basis, so adding additional accounts will incur a charge. Check out our pricing page for details, see: Current RMS Pricing. 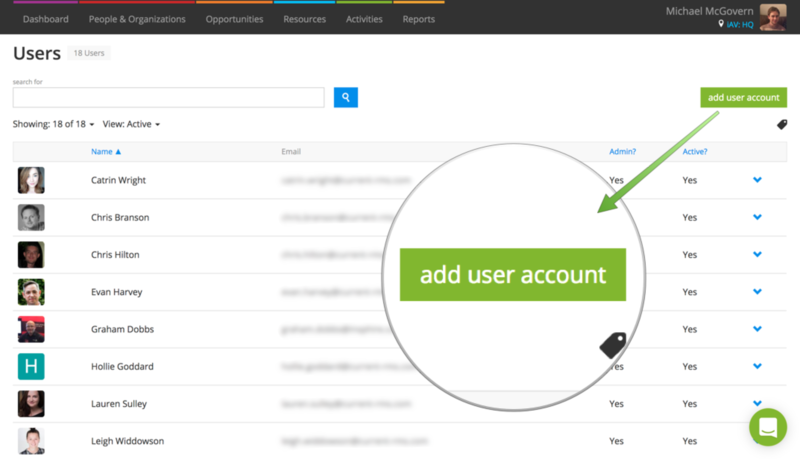 To add a new user account, head to System Setup > Users, then click the green add user account. The name of the user account, e.g. “Maria Wood” or “Warehouse”. Use tags to categorize your tags, e.g. “Warehouse staff” or “Office team”. Browse for an image from your device for this account. You’ll see this picture where this person is referenced throughout Current. The email address this user will use to log in with, and where notifications such as discussion replies are sent. Enter the password that you’d like this user to log in with here. This user can change this later on by editing their profile. Set to YES so that this user can log in. When set to NO, this user cannot login and you’re not billed for their account on the monthly plan. It’s great for freelancers or staff members who might come on board seasonally. Toggle to YES to provide this account with full access to Current RMS, including the ability to manage system settings in System Setup and view reports. Enter the staff member’s title, if you like. For example, “Warehouse manager” or “Rental Manager”. You can set a different language against each user account – useful if you have staff in different locations. Select a language here. Your timezone affects the dates and times you’ll see when viewing or creating opportunities. When creating opportunities, the start & end of the working day is used as the default start & end time. You’ll also see working hours when viewing calendars. Toggle to YES if you’d like to make this user available for services. The daily summary email contains a handy list of activities for today along with key dashboard information. 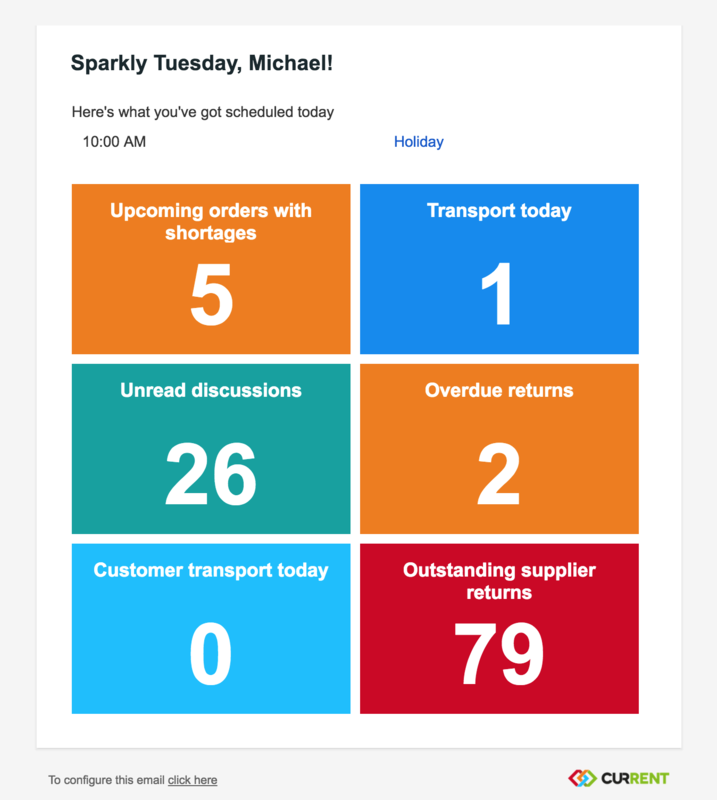 Toggle “Send Daily Summary email?” to YES and choose a time to send here. Roles are a way of restricting what a user account can see and do in Current RMS. Tick roles here to apply them to your user account. If you’ve not set up or customized roles, don’t worry – choose one of the defaults for now and change them later. To edit an existing user account, go to System Setup > Users, then click the blue arrow to the right of an account and choose Edit from the menu. The fields are the same as when creating a user account, see above. To delete a user account, go to System Setup > Users, click the blue arrow to the right of an account, then choose Delete from the menu. You’ll need to click again to confirm. ⚠️ Deleting a user account is irreversible. This user will no longer be able to log in. You might wish to make an account inactive rather than deleting. You’re not billed for inactive accounts on our monthly plan, but they’re always there if you’d like to make an account active in future. To make an account inactive, edit the account and toggle Active to NO.